We all know very well that it is not uncommon for smartphone users to take their device for repair, for having dropped it, or for any other malfunction, as it is common phenomena. But, recently, a leaked document revealed Apple’s weird warranty guidelines. 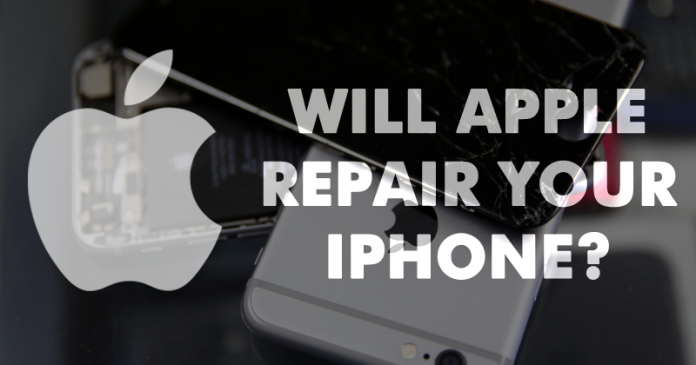 It is not uncommon for smartphone users to have to take their device for repair, for having dropped it, or for any other malfunction. Recently, a document has been leaked which revealed the rules that the tech giant Apple has set to decide which iPhones should be repaired, given the problems they have. 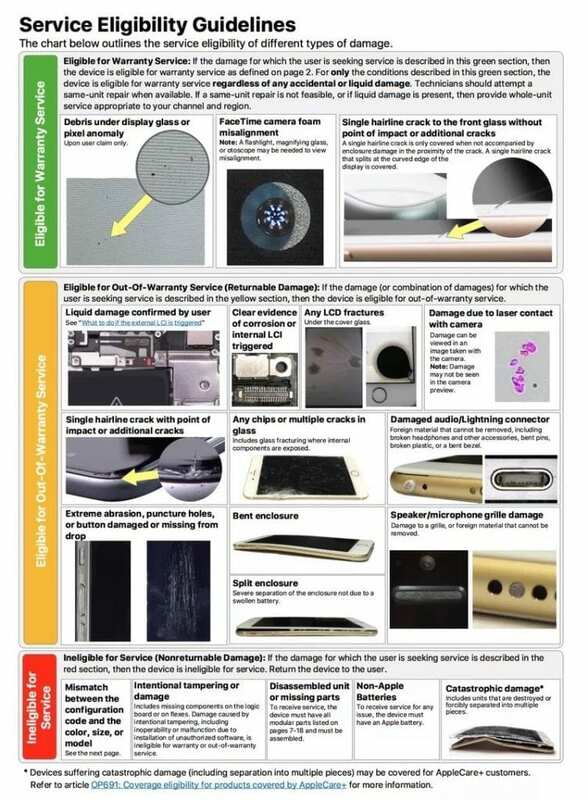 The guide that now appeared on the Internet that was presented by the Business Insider website shows the rules that the tech giant Apple employees must follow in deciding which iPhones are repaired under warranty, those that are not entitled to this repair, or which ones are exchanged directly without any repair. This 22-page guide, dated March 3, 2017, is called “Visual/Mechanical Inspection Guide” (VMI) and details the rules to apply to iPhones 6, 6 Plus, 6S, 6S Plus, 7 and 7 Plus. They are normal rules, for the most part, and that all brands use, however, there are, some interesting peculiarities that may be less logical. The first one is the dead pixels on the screen. Only those declared by the customer must be repaired. If the tech giant Apple employee detects any, it should not be indicated. Then there is the policy of repairing all broken screens, as long as it is a very thin and small break caused by a voltage. But it can only be done if there is no damage to the frame in the area of the break. If any found, then the repair must be paid by the customer. Other malfunctions, such as camera problems caused by laser contact, extreme abrasion or punctures, multiple screen breakdowns and faulty connectors, are eligible for repair but are always out of warranty. Completely out of warranty and no right to repair, even if paid by the customer, there are problems on iPhones that change. If it is noted that the device has been changed, that parts of the iPhone are missing or that the batteries or other components have been replaced, then that device can not be repaired by the tech giant Apple. There are even references to a state of “catastrophic failure”, in which the repair will be denied immediately, either under or outside the warranty rules. Several contacts with the tech giant Apple employees who have revealed that this manual is an important part of their training and a tool used on a day-to-day basis and not only that even there are much more, one for each type of Apple devices.